Bassist Christa Hillhouse and guitarist Shaunna Hall had been roommates and met drummer Wanda Day when they joined a band she was playing in. When the three left that band, they started playing as a trio, but after seeing Perry sing at a solo performance, Hillhouse and Hall asked her to join as vocalist. According to Perry, she and Hall were at Nightbreak, a San Francisco club, and when it was mentioned the trio was looking for a vocalist, Perry announced she was a singer, to which Hall replied, "I know". Their first rehearsal was supposed to be at 6:10 pm on October 17, 1989, but shortly after 5:00 pm the Loma Prieta earthquake hit the San Francisco area. The band was signed to Interscope in July 1991 following a performance at the Gavin Convention, where they opened for Primus on Valentine's Day of the same year. As they began pre-production for their debut album, Day was fired and replaced by Richardson. In 1992, while recording Bigger, Better, Faster, More! the album's producer, David Tickle, felt that Hall's guitar playing was "not happening" so she was let go from the band as well. Guitarist Louis Metoyer finished the record. Roger Rocha joined after completion of the album and stayed with the band until 1994. After leaving the Blondes in 1991, Day continued drumming with Malibu Barbi, and then Bad Dog Play Dead. In late 1992 she had an accident and crushed her legs and broke her back, which made drumming very painful. She moved out of San Francisco in 1995, spent some time in Arizona and eventually went back to Salt Lake City. Day died on July 10, 1997, according to Christa Hillhouse, and is buried in Tropic, Utah. 4 Non Blondes contributed the song "Mary's House" to the film Wayne's World 2 in 1993. They also covered Van Halen's "I'm the One" on the soundtrack for Airheads. They contributed "Bless the Beasts and Children" to a 1994 The Carpenters tribute album If I Were a Carpenter, and "Misty Mountain Hop" to the 1995 Encomium tribute album to Led Zeppelin. The group disbanded in late 1994 during the recording of their second album.[why?] 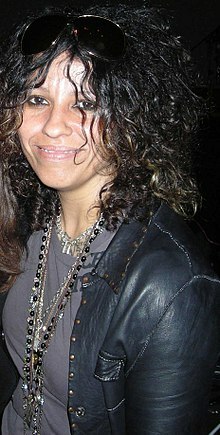 Lead vocalist Linda Perry went solo in 1995. She has since released solo work, produced and written songs on hit albums by Christina Aguilera, Alicia Keys, Pink, Gwen Stefani, Courtney Love and Kelly Osbourne. Hall has recorded, produced, composed for and performed with various artists, including vocalist Storm Large (1999–2001), guitarist Eric McFadden (1995–2001) and funk pioneer George Clinton & Parliament Funkadelic (2002– ) and released "Electrofunkadelica: e3+FUNKnth = music for the body, mind & soul", a self-produced project in 2006 on Make Music, Not War! Records. On 11 May 2014 the group reunited to perform a small concert at a fundraiser entitled "An Evening For Women" which was held at the Beverly Hilton in Los Angeles. The six songs on the track list were "Train", "Spaceman", "The Ladder", "Mighty Lady", "Superfly" and "What's Up?". The fundraiser was organized by the Los Angeles LGBT Center. Linda Perry and Christa Hillhouse reunited in 1999 in support of Perry's solo tour. Hillhouse, who maintains the official website for 4 Non Blondes, has had associations with a number of other acts over the years, but none with any substantial commercial success. 1992 Bigger, Better, Faster, More! 1992 "Dear Mr. President" — — — — — — — — 40 — — 79 Bigger, Better, Faster, More! "Drifting" — — — — — — — — — — — — Bigger, Better, Faster, More! "Superfly" — — — — — — — — — — — — Bigger, Better, Faster, More! 1992 - "Dear Mr. President"
1995 - "Misty Mountain Hop"
1996 - "4 Non Blondes vs BBC"
^ a b Morrissey, Alanis (2000). The Great Rock Discography (5th ed.). Edinburgh: Mojo Books. p. 355. ISBN 1-84195-017-3. ^ Indiana, Gary (July–August 1991). "4 Non Blondes Interview". Flipside Magazine. ^ "Earthquake". Time Magazine. Time Inc. October 30, 1989. Archived from the original on 24 December 2008. Retrieved 2008-11-13. ^ Chun, Kimberly. "Noise: Miss understood". The San Francisco Bay Guardian. The San Francisco Bay Guardian. Archived from the original on 2012-10-28. Retrieved 2008-11-13. ^ Hall, Shaunna. "Life and Times of Wanda Day". Loudith Faire. Archived from the original on 2008-12-16. Retrieved 2008-11-24. ^ "Death: Wanda Marie Day". Deseret News. Retrieved 30 April 2014. ^ Kimberly Chun. "Miss Understood". San Francisco Bay Guardian. Archived from the original on 2012-10-28. Retrieved 2014-06-18. ^ Breihan, Tom (2014-05-11). "Watch A Reunited 4 Non Blondes Play "What's Up" For The First Time In 20 Years". Stereogum. Spin Media. Retrieved 2014-05-12. ^ "Linda Perry & Christa Hillhouse 1999". World News Network. 29 June 2010. Retrieved 23 April 2017. ^ Christa, Hillhouse. "Linda Perry Tour 1999". CHILLHOUSE MUSIC. Christa Hillhouse. Retrieved 24 April 2017. ^ Christa, Hillhouse. "CHILLHOUSE MUSIC". Four Non Blondes. Christa Hillhouse. Retrieved 24 April 2017. ^ "Chart Stats – 4 Non Blondes". billboard.com. Retrieved 2011-11-17. Top 50 peaks: "australian-charts.com > 4 Non Blondes in Australian Charts". Hung Medien. Retrieved 2011-11-17. 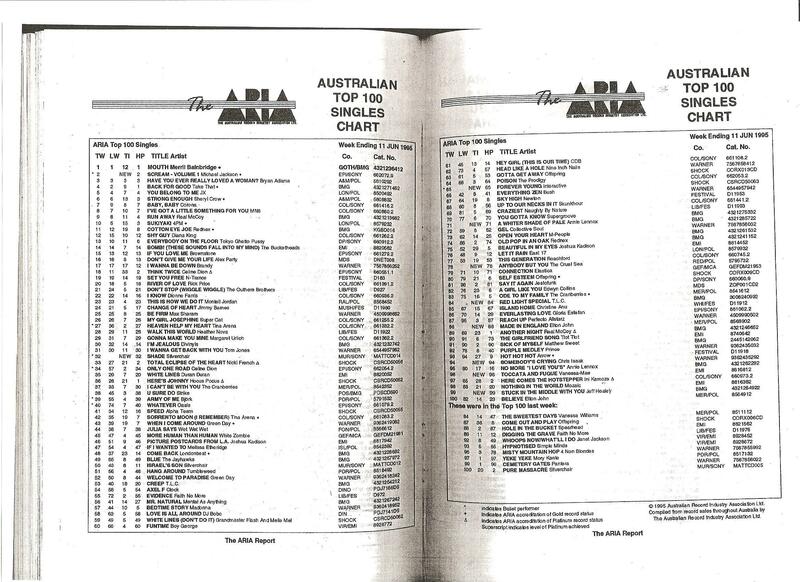 "Misty Mountain Hop": "The ARIA Australian Top 100 Singles Chart – Week Ending 11 Jun 1995". Imgur.com (original document published by ARIA). Retrieved 2017-04-25. ^ "Discographie 4 Non Blondes". AustrianCharts.at. Retrieved 2011-11-17. ^ a b "Suche nach '4 Non Blondes'" [Search for '4 Non Blondes']. Charts.de (in German). Media Control AG. Retrieved 2014-01-03. ^ "Discografie 4 Non Blondes". DutchCharts.nl. Retrieved 2011-11-17. ^ "Discography 4 Non Blondes". norwegiancharts.com. Retrieved 17 November 2011. ^ "Discography 4 Non Blondes". Charts.ord.nz. Retrieved 2011-11-17. ^ "Discography 4 Non Blondes". SwedishCharts.com. Retrieved 2011-11-17. ^ "Discography 4 Non Blondes". SwissCharts.com. Retrieved 2011-11-17. ^ a b "Official Charts > 4 Non Blondes". The Official UK Charts Company. Retrieved 2017-03-25. ^ "Searchable Database". Recording Industry Association of America. Archived from the original on 2007-06-26. Retrieved 2011-11-17. Note: User must define 'Artist' search parameter as "4 Non Blondes". ^ "Gold/Platin". Gold-/Platin-Datenbank (in German). Bundesverband Musikindustrie. Archived from the original on 2015-11-24. Retrieved 2014-01-03. ^ "Certified Awards Search" Archived May 11, 2011, at the Wayback Machine. British Phonographic Industry. Retrieved on 2011-11-17. Note: User needs to enter "4 Non Blondes" in the "Search" field, "Artist" in the "Search by" field and click the "Go" button. Select "More info" next to the relevant entry to see full certification history. ^ "4 Non Blondes". Billboard. Retrieved 7 December 2013. ^ "4 NON BLONDES IN DER ÖSTERREICHISCHEN HITPARADE". Austriancharts.at. Retrieved 7 December 2013. ^ "4 NON BLONDES – WHAT'S UP?". Ultra Top. Retrieved 7 December 2013. ^ "4 NON BLONDES DANS LES CHARTS FRANÇAIS". lescharts.com. Retrieved 7 December 2013. ^ "4 NON BLONDES IN DUTCH CHARTS". dutchcharts.nl. Retrieved 7 December 2013. ^ "4 NON BLONDES IN NORWEGIAN CHARTS". Norwegiancharts.com. Retrieved 7 December 2013. ^ "4 NON BLONDES IN NEW ZEALAND CHARTS". Charts.org.nz. Retrieved 7 December 2013. ^ "DISCOGRAPHY 4 NON BLONDES". Swedishcharts.com. Retrieved 7 December 2013. ^ "4 NON BLONDES – WHAT'S UP?". Hitparade.ch. Retrieved 7 December 2013. This page is based on the Wikipedia article 4 Non Blondes; it is used under the Creative Commons Attribution-ShareAlike 3.0 Unported License (CC-BY-SA). You may redistribute it, verbatim or modified, providing that you comply with the terms of the CC-BY-SA.